Why do I deserve all good in my life? Loving kindness meditation (*metta) develops our ability to connect and care for ourselves and others in a way that deeply fulfills our wishes to be happy and peaceful. In recent years with our political atmosphere there has been such a mix of emotional expressions that I believe are distracting and disempowering many of us. Instead of regurgitating and being upset, I have come to practice using this metta practice with these words to bless those. May your consciousness of awareness be awaken to your highest good and for the planet as quick as possible. Sooner then later 🙂 Then I let go and hand it over. 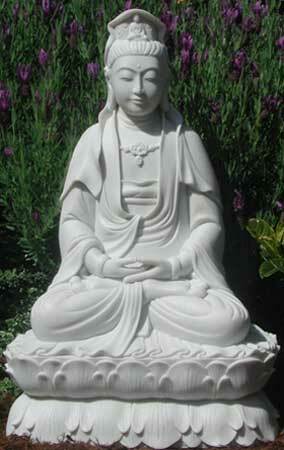 Through the practice the quality of patience, compassion, and equanimity are cultivated. Because of this, an inner and outer environment of safety is created and our hearts and minds can open with less fear and attachment. The result of this practice is an ever deepening peace of mind, from which the truth of life can be recognized more clearly. If anyone has hurt or offended me, either knowingly or unknowingly, to the best of my ability, I forgive you now, knowing that any unskillful actions come from greed, ignorance & fear. May I be happy. May I be peaceful. May my heart be filled with loving kindness. May I cultivate wisdom, compassion & understanding. May I be free from suffering. May I be free from aversion. May I be free from anger, hatred, delusion & fear. May I be free from inner and outer harm and danger. May I be safe and protected. May I be free of mental suffering or distress. May I be free of physical pain and suffering. May I be healthy and strong. May I be able to live in this world happily, peacefully, joyfully, and with grace. May I be prosperous. May I live with ease and well being. May I care for myself joyfully. May I be free from inner and outer harm. May I be filled with loving kindness. May I come to freedom in this very life. Now turn your thoughts to someone who is very close to you and send them thoughts of loving kindness. Just as I wish to be happy, so may you be happy. May you be peaceful. May your heart be filled with loving kindness. May you cultivate wisdom, compassion & understanding. May you be free from suffering. May you be free from aversion. May you be free from anger, hatred, delusion & fear. May you be free from inner and outer harm and danger. May you be safe and protected. May you be free of suffering or distress. May you be free of physical pain and suffering. May you be free, happy, peaceful, joyful. May you be with ease and well being. May you be free from inner and outer harm. May you be filled with loving kindness. May you come to freedom. Now turn your thoughts to friends, family and those who have touched your life and send them thoughts of loving kindness. Just as I wish to be happy, may my friends, family & those who have touched my life be happy. May you be peaceful. May your heart be filled with loving kindness. May you cultivate wisdom, compassion & understanding. May you be free from inner and outer harm and danger. May you be safe and protected. May you be free of mental suffering or distress. May you be free of physical pain and suffering. May you be healthy and strong. May you be able to live in this world happily, peacefully, joyfully, and with grace. May you be prosperous. May you live with ease and well being. May you care for yourself joyfully. May you be free from inner and outer harm. May you be filled with loving kindness. May you come to freedom in this very life. Now turn your attention to your community and spread thoughts of loving kindness outward. May you all be happy. May you be peaceful. May your heart be filled with loving kindness. May you cultivate wisdom, compassion & understanding. May you be filled with loving kindness. May you come to freedom in this very life. Directing your thoughts of loving kindness to all people everywhere, past present & future. May all people be happy. May you be peaceful. May your heart be filled with loving kindness. May you cultivate wisdom, compassion & understanding. Turn your thoughts of loving kindness to include all beings. May all beings, all animals, all divas, spirit guides, & guardians everywhere, in all dimensions & in all realms on all planes of existence, known and unknown, seen and unseen, be happy, be peaceful, be free from suffering. May you be happy. May you be peaceful. May your heart be filled with loving kindness. May you cultivate wisdom, compassion & understanding.